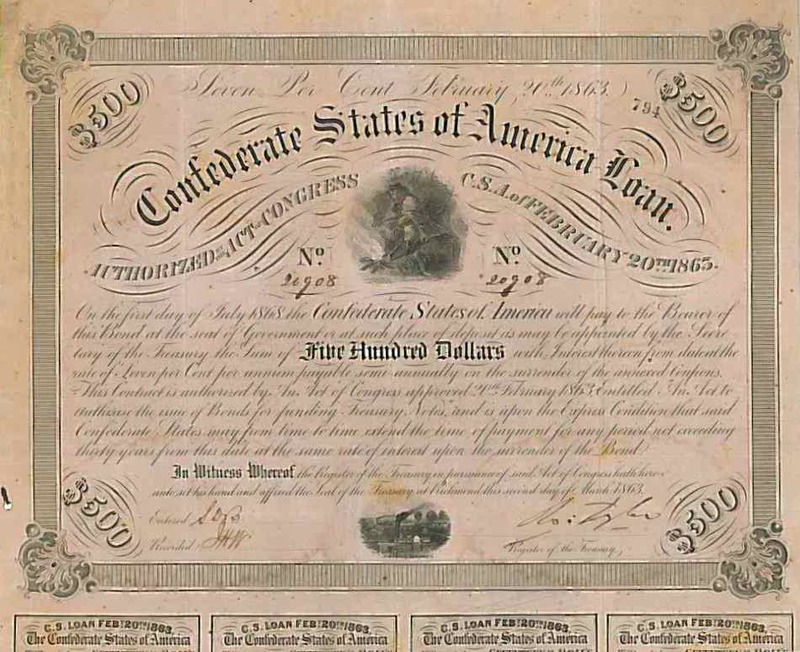 1863 $500 Confederate Bond Certificate (Criswell-121). Authorized in February, 1863, this attractive Confederate scripophily bond features a vignette of a Confederate soldier warming his hands over a fire, and is signed by Robert Tyler. 7 coupons at bottom of bond. VF+ condition.